Despite the difficulty in choosing the best direction, we at Brewer Offord & Pedersen LLP work tirelessly to be the best we can be for our clients. It starts with a devotion to client service, an investment in technology, a commitment to prudent legal service, and a dedication to providing helpful content. In the spirit of this month’s theme, we are excited to bring you webinars, articles, radio podcasts, and more — to help you head in the best possible direction! Every year, the Super Lawyers® organization publishes a regional magazine that identifies the top attorneys and law firms in the Northern California region. The top 10% of attorneys in each region earns the designation of “Super Lawyer”. 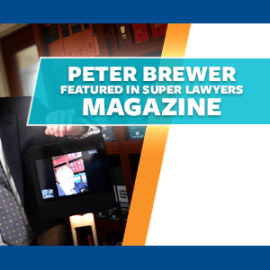 Attorney Peter N. Brewer has been recognized as a Super Lawyer every year since 2010. Brewer and his use of a telepresence robot, after being injured in a horrific motorcycle accident. You can read the digital version of the magazine article by clicking the button below! The rental economy is booming throughout the country. California is one of the most attractive places for investment properties, given the high demand and expensive rent amounts. While the vast majority of tenants are timely with their rent payments and are respectful of the property, not every renter is perfect. Unfortunately, there are some scenarios in which a tenant must be removed from the property. This removal process is called an unlawful detainer, also known as an eviction. To better understand the eviction process, attorneys Henry Chuang and Ashlee D. Adkins recently presented a webinar about the fundamentals of evictions in California. The webinar is the third installment in our firm’s California Landlord Basics webinar series. You can watch a video replay of the webinar, and download the slides, by clicking the button below! The California Mortgage Association Summer Seminar was held in San Diego earlier this month, from July 13th – 14th. 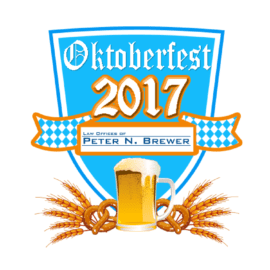 Brewer Offord & Pedersen LLP has been a longtime member of CMA, and our attorneys have been attending CMA events for decades. However, this past spring, our firm started sponsoring the events as exhibitors. We are thrilled to support an organization that provides excellent education and networking in service of a unique segment of the lending industry. a record player that provided tunes during the event. Additionally, attorneys from our firm were featured speakers during multiple educational sessions, including a presentation about enforcing guarantees and the attorney roundtable. We look forward to attending the next CMA event in Las Vegas! On June 29th, attorney Simon Offord appeared as a guest on The Brian Copeland Show on KGO 810. The popular radio talk show is hosted by Brian Copeland, an award-winning actor, comedian, author, and radio personality. insights, by clicking the button below. commercial properties is very different than the residential eviction process. For one, commercial tenants are not protected by a warranty of habitability in the same way that residential tenants are, since the lease is not for a person’s place of living. Additionally, the acceptance of rent by a residential landlord acts as a waiver, but acceptance of rent doesn’t always constitute a waiver in commercial leases. Ashlee D. Adkins discusses some of the differences between commercial and residential evictions in her most recent article, which you can read by clicking the “Read More” button below. You can find all of our firm’s published resources in one place on our website — our RESOURCE LIBRARY! Simon Offord advised numerous clients on several of commercial leases, including both landlords and tenants. This included preparation of leases, review of existing leases, and review of CC&Rs for potential space for clients.